4th December – 7th December , 10am to 5pm. > Strong Experience in creating automation frameworks. > Need a Hands-on coding person for this role. TOUR VACATIONS Company is an ISO Certified tourism based company need candidates for part time /work from home who spend 2-3 hrs on daily basis and earn weekly. > Hands on experience in Testing APIs , web & mobile applications. > Experience of Creating and Implementing Test Cases. > Experience with QA automation techniques. > Experience in designing, coding and executing automated test scripts. > Execute Test Plans and Test Cases based on Solution Requirements. Address : PRINCE INFOCITY – II, 2nd floor, Door No.141, Raji, Chennai. > Should be able to play a Role is java dev. plus automation tester. > Should be able to write to write framework from scratch using java. > Experience in preparing the Functional/Integration test plan. Contact Company : KPIT Technologies Ltd.
Company Name : Graphene Semiconductor Services Pvt. Ltd. Looking for Sr. QA / Lead- QA (Software Testing) with 3-7 yrs of relevant experience for Ecommerce Company, Jaipur. Preferable candidates should have exp in automation and manual testing, Follow black box, White box & grey box testing methodologies. > Excellent experience in Selenium. Protractor/Appium/Telerik Test Studio is an added advantage. > Experience in automated testing of UI & API. > Should be skilled in validation of test plans and test cases. > Should have strong fundamentals in Algorithms, OOPs and Data Structure. > SoapUI experience preferred – writing both service and performance tests. > SQL experience preferred – writing SQL statement for data validation, QA data and scripts through tools. Company Name : Iomedia India Pvt. Ltd.
> Excellent understanding of Quality Assurance methodologies and strategies. > Responsible for on-time delivery of high-quality code. > Implementation and warranty support. > Identify efficiency and ways to improve testing processes. > Write manual test cases as warranted. > Execute manual tests as needed along with data validation in DB side. > Create, execute, and analyze automated test results. > Maintain, and or Write new automated test cases in our automation infrastructure. > Collect and report testing results to the product team and stakeholders on a regular basis. > Review system defects and ensure they are adequately retested when fixed. Company Name : Miracle Corporate Solutions Pvt. Ltd.
Imm Joiners will get excellent Joining Bonus. 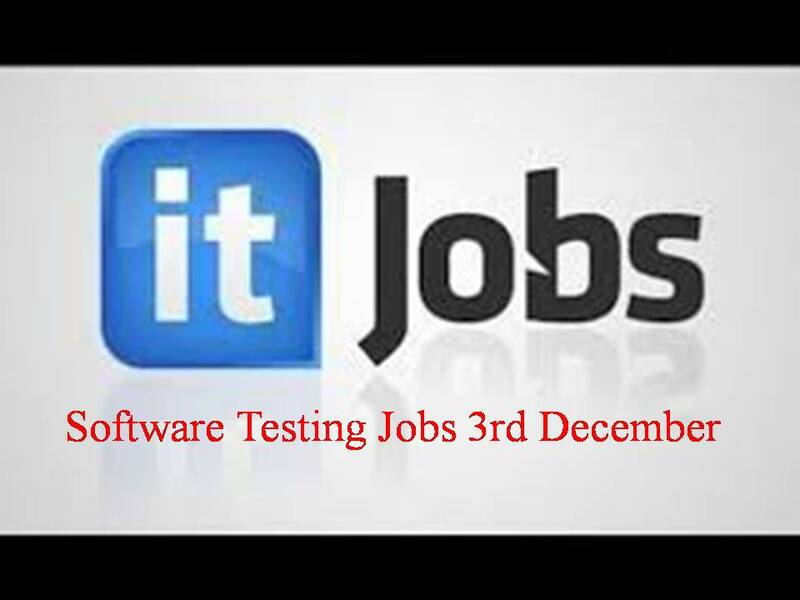 Urgent Requirements for Software Test Engineer,To perform software tests to ensure quality,Preparation of test cases,Execution of tests. > Test Engineering activities for Defense & Space Products. > Test jig and necessary automation software development as per the requirement. > Test Jig development HW & SW.